Graduate students in the Master of Public Health (MPH) program recently volunteered at the annual Give Kids A Smile Day, where more than 1,600 kindergartners from low-income homes across Nassau County received free dental screenings. Sponsored by the Nassau County Dental Society (NCDS) and the New York State Oral Health Coalition (NYSOHC), Give Kids A Smile Day is part of a national campaign by the American Dental Association to provide care and raise awareness of the need for good oral health. NCDS’s program focuses on children from underserved communities in Nassau County including Baldwin, Hempstead, Freeport, Westbury, Uniondale, and Roosevelt. Hofstra’s MPH students created an oral health education brochure that was sent home with each child, as well as a teacher evaluation and a data management process that was used during the event, which was held at the Cradle of Aviation Museum in Garden City on February 6. 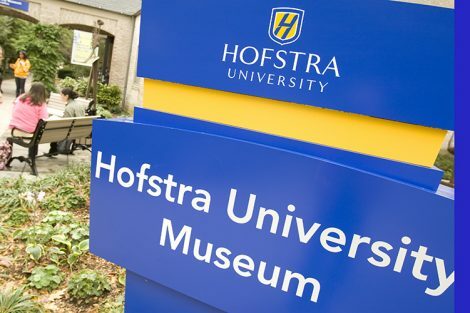 “I saw there was a need for evaluation, statistics, and better follow-up for the program, so I got Hofstra involved,” said Danielle Spitaleri, a clinical dental hygienist who will graduate with her MPH degree in May. She had volunteered in previous years’ Give Kids A Smile events, and served on a committee for this year’s event after an internship with the NYSOHC. Six other MPH students who volunteered along with Spitaleri were Zichen Liu, Jing Wang, Kemar Trowers, Afrin Howlader, Aditya Bissoonauth, and Berlinda Olivier. 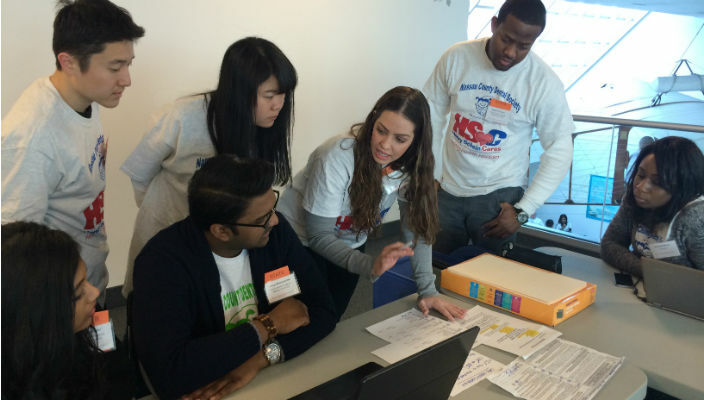 During event, Hofstra students helped refine the check-in process and spent more than six hours entering information from each child’s dental screening report into laptops. About 100 volunteer dentists and dental hygienists provided the children with free health screenings and fluoride varnish treatments. The children also toured the museum, watched an educational video and puppet show, and ate a healthy lunch as part of the event.